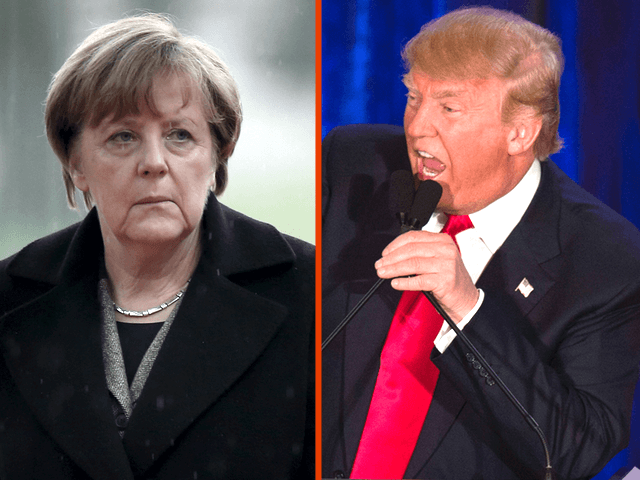 REUTERS – U.S. Republican presidential contender Donald Trump said German Chancellor Angela Merkel was wrong to let in thousands of migrants into Germany and that the refugee crisis could trigger revolutions and even the end of Europe. “I think Angela Merkel made a tragic mistake with the migrants,” Trump told French conservative weekly Valeurs Actuelles, which said it was the billionaire’s first in-depth campaign interview with European media. “If you don’t treat the situation competently and firmly, yes, it’s the end of Europe. You could face real revolutions,” Trump was quoted as saying, according to the French translation. The 69-year-old property magnate also said Brussels had become a breeding ground for terrorists and some neighbourhoods in Paris and elsewhere in France had become no-go zones. “Unfortunately, France is not what it used to be, and neither is Paris,” he said. He also said tight French gun laws were partly responsible for the killing of dozens of people at the Bataclan concert hall last November by Islamist militants. “I always have a gun with me. Had I been at the Bataclan, I can tell you I would have opened fire,” he said. Trump further said he thought the United States could have very good relations with Russia‘s Vladimir Putin and that nothing could be worse than the current situation where President Barack Obama and Putin scarcely spoke with each other. “He (Putin) said I was brilliant. That proves a certain smartness,” said Trump. The French magazine said the interview was conducted at Trump’s office in New York’s Trump Tower a week before the Iowa caucuses, in which he finished second among candidates seeking the Republican nomination for November’s presidential election. Trump was widely expected to win Tuesday’s primary in New Hampshire, which is part of the state-by-state process of picking party nominees for the Nov. 8 election to replace Democratic President Barack Obama.